Are you a social work leader who wants to be more engaged in advocacy? Do you wonder how to get your agency on board? As a social work leader, you are able to see the “big picture” of the social policy issues that impact direct care. Furthermore, as an agency administrator or clinical director, it is your responsibility to create a vision and translate social policy into organizational practice. How do you cultivate an agency culture for policy conscious practice? A culture that’s conducive to engagement in policy practice? How do you share that vision? Moreover, what steps are required to educate staff about the policy implications for service delivery? John Cowart, MSW, LCSW is the 2015 National Association of Social Workers, Social Worker of the Year Award recipient. 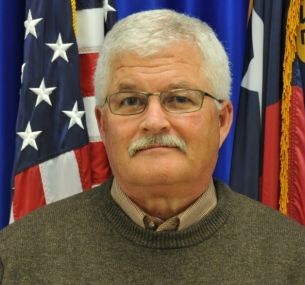 Cowart recently retired after dedicating 30 years of professional practice to the Charles George Veterans Affairs Medical Center in Asheville, North Carolina. Mr. Cowart supervised social workers in mental health and performed individual, couples, and group psychotherapy for veterans. Mr. Cowart’s commitment to the profession of social work and social workers has been unwavering. During his career Mr. Cowart established an “Excellence in Social Work” award for staff in memory of Norman Polansky one of his professors at the UGA School of Social Work.